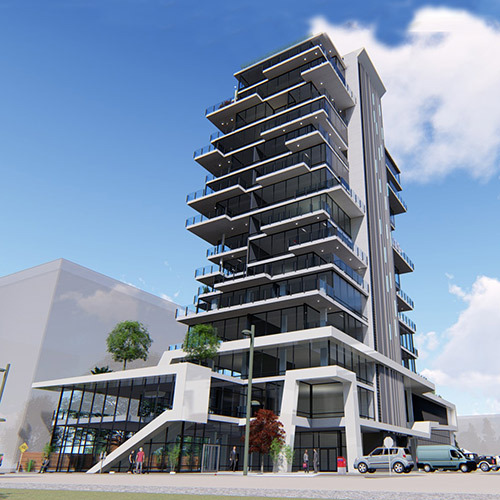 This 15 storey narrow tower proposed for 420 Cedar Avenue in Kelowna offers prestigious residential units overlooking Okanagan Lake. Irregular terraces add interest to the facade through articulated shadowing. Commercial uses front the lane and street, with plazas and galleries at the pedestrian level. 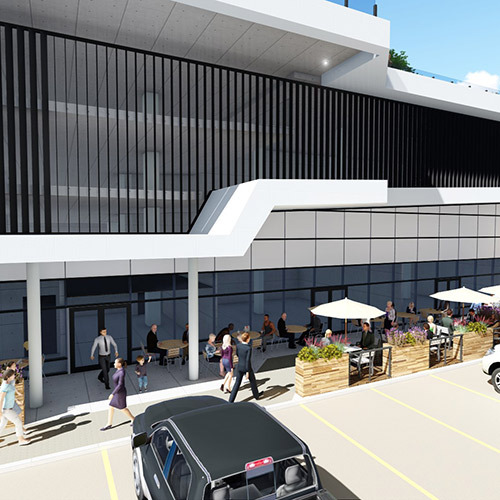 Ample parking is provided enclosed within an above-ground parkade. The undulating deck forms and the extensive attention to shadow play make the overall structure appear more delicate and visually interesting. In the evening, strategic lighting enhances the building’s orchestration and characterizes the east façade along the elevator alignment. Planned landscaping is multi-layered. At grade, the south-easterly corner of the property opens to a large public plaza with a rock garden feature. The plaza is linked to the corner of the fronting streets by an enhanced pedestrian walkway. 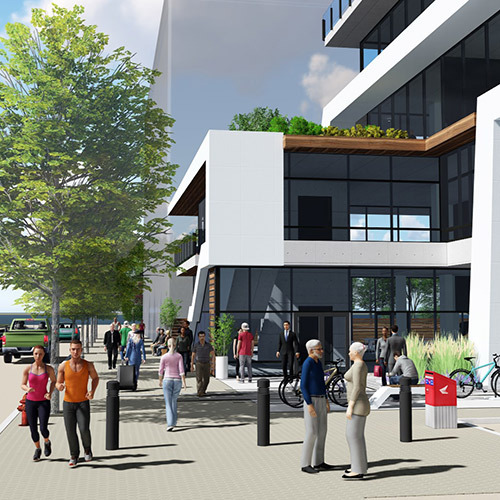 A green roof is located above the second storey over the commercial uses fronting on Cedar Avenue. 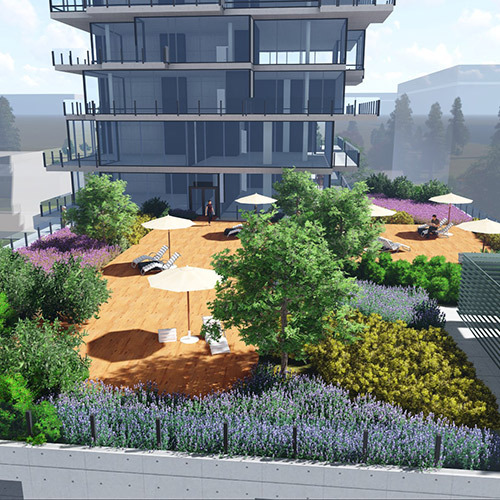 A second and much larger green roof functions as passive parkland above the parkade. This space is characterized with ornamental plantings and more significant trees. Construction to begin Spring 2019.